All the above quotations state that if certain evidence exists, evolution is in trouble. The rest of this article will present such evidence. OOPARTs are Out of Place Artifacts. They are artifacts discovered in places where they ought not to have been found. The place may actually refer to a time, especially if the place is a layer of rock, or geological stratum, which is associated with a period of time. According to the quotations above, finding fossils or bones in an unexpected geological stratum would pose problems for evolutionary theory, even to the point of blowing it out of the water. The reason bones and fossils prove problematic in this situation is that they indicate an order in the appearance of species which is not compatible with evolutionary theory. Animal species supposedly evolved from other species. If the “child” species is found to have existed before the “parent” species, then this is a problem for evolutionary theory. As such, we see the problem is not limited to bones or fossils, but the same problem would also exist if, for example, human-manufactured items were found in geological strata that correlated to a time before humans are believed to have existed. Well, the question then is, “Have such fossils, bones, artifacts, etc. actually been found?” According to some researchers, the answer is a resounding, “Yes!” Here are some examples. Some may question the evidence. Arguments might be presented that the evidence has been faked. Cremo and Thompson deal with this in their book Forbidden Archaeology. 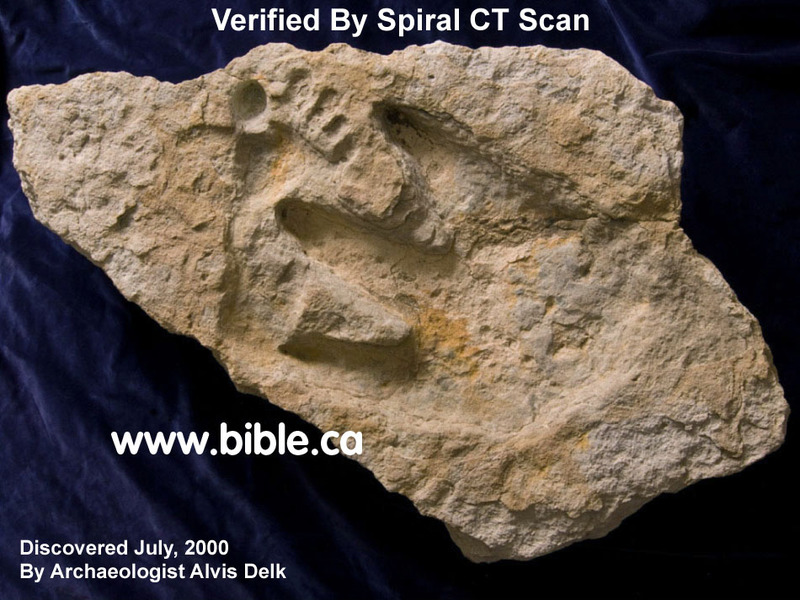 14 They assert that the evidence given to support the conventional views (that man evolved and was not present on Earth hundreds of millions of years ago) is equally suspect. They argue if one set of evidence is suspect, the other set is also equally suspect and for the same reasons. If we disregard the evidence, we must have a reason. The possibility of intentional faking of the evidence is one possible reason to disregard the OOPART evidence. There may be others. Cremo and Thompson deal with this at somewhat more length in The Hidden History of the Human Race. 15 However, to be consistent, they argue, if we throw out this evidence because it is questionable, we must also throw out much evidence used to support conventional theories. To disregard the evidence of OOPARTs and to not disregard the evidence used to prove conventional theories is, according to Cremo and Thompson, applying a double standard. Well, if we aren’t going to throw out this evidence—at least not yet—what else can we do with it? How do we interpret it? Cremo comes from the vantage point of ancient Indian (non-Christian) religious documents that imply that man has lived on earth for vastly longer periods of time than science has allowed. So, one could argue that man in his modern form did exist hundreds of millions of years ago, along with dinosaurs, trilobites, and so forth. The problem with this view is that this puts man on earth before the creatures from which man supposedly evolved. This is the problem alluded to in this ariticle’s introductory quotes, which seems to “blow evolution out of the water”. Well, one other interpretation is that, even though the OOPARTs did come from Precambrian and other ancient geological strata, the dates for the geological strata are wrong. In this interpretation, man need not have existed on earth 600 million years ago, which solves the problem of having man on earth too early; but, the trilobites and dinosaurs and other living species that have been supposed to have lived long, long ago, must also be moved forward in time, along with the geological strata. The problem with this is that, then, there is not sufficient time for these species to have evolved. You may be wondering, if such OOPART evidence exists, why haven’t I heard of it or why hasn’t it been as widely accepted as other evidence? We can see what a problem these OOPARTs are for conventional theories of evolution. This is perhaps why they have been ignored. And this ignoring need not be intentional, according to evolutionist Stephen Jay Gould, who described the unconscious bias of scientists in his book, The Mismeasure of Man. 21 In this book, Gould tells how a researcher published data which contradicted his own conclusions. Gould argues that the man would not have published the data had he been intentionally, consciously trying to delude the public. However, the man himself was deluded—he was biased and fudged the data in a way that publishing the data made known. He could have simply published part of his data—the part that would have supported his conclusion, and the part which he had unconsciously manipulated, but he also published data that could not have been manipulated as the other data. And those data did not support his conclusion. Why? Gould says he published both sets of data because he was not aware of his manipulation of the data. So, evolutionist Gould tells us that scientists are quite capable of not only ignoring evidence, but even distorting it, without even being aware of it, because of their biases. Simply ignoring or not publishing evidence that goes against one’s biases seems less extreme than overt distortion of data. So, if one can be done while unawares, the other seems even more likely. The above gives us reason to question authoritative pronouncements from scientists, especially when we know those announcements or statements come from a bias about the issue being elaborated. The interpretation or view that the dates for the OOPARTs are simply wrong is now considered. What this would imply (among other things) is that dinosaurs were present on earth fairly recently. The following evidence supports the recent existence of dinosaurs. What appears to be a carved stegosaurus is present on a temple in ancient Cambodia. 22 In Mexico, figurines which date back to 200 AD and earlier are obviously dinosaurs. 23 Also, drawings of dinosaurs with people—even a man riding a dinosaur—are found in Peru and date back about 2,000 years. 24 These dates are old enough to put the time before the discovery of dinosaurs by modern science. However, the dates are recent enough to put the time well after dinosaurs supposedly became extinct. These artifacts—figurines and drawings—do not indicate man lived tens or hundreds of millions of years ago, since the artifacts involved are of recent origin (at least much less than millions of years ago). They pose a real problem for the conventional dates for the appearance of dinosaurs. Recently, T. rex tissue has been found, in a condition that should not be possible, if the T. rex lived tens of millions of years ago. At least, this evidence together with the evidence presented earlier in this article is all mutually consistent. So, the view that the dates are simply wrong is supported by this evidence. The long and the short of it is that there does exist evidence which not only does not support conventional theories of evolutionary development and time frames, but argues strongly against them.